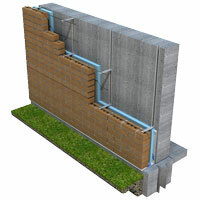 303 SV - Seismic-Notch Dovetail Anchor is modified to comply with seismic codes, which call for continuous wire in the veneer to be an integral component of the anchor system. 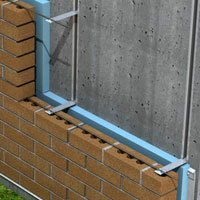 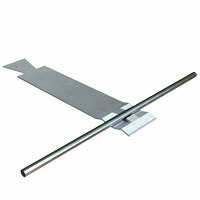 The Seismic Notch forms a seat to accommodate 9 gauge or 3/16" diameter continuous wire. 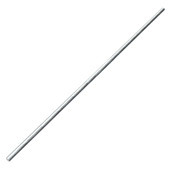 1" wide x 14 ga., 12 ga., or 11 ga. thick. 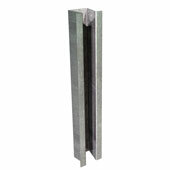 The 303-SV has replaced the 303 Corrugated Dovetail Anchor.The 303-SV’s Seismic Notch allows mortar to flow through the plate, creating pull-out strength superior to the original 303 Corrugated Dovetail Anchor design.